Being in a rock band is about touring. It’s about writing songs and it’s about making records but it’s also about taking a wonderful smile onto that stage and making the people feel good about themselves. I just sing the stuff that makes me smile, makes me feel like I didn’t sell myself out. I’ve never missed a gig yet. Music makes people happy, and that’s why I go on doing it – I like to see everybody smile. A smile is the absolute best. It can change a persons outlook on life. I so agree. I have found over the last 9 years, that I smile alot because of Clay. He brings me so much joy and happiness, and when I hear his laugh/giggle, well, you just can't help but smile. *A smile is worth a thousand words. * To me, it's like Clay is silently speaking to us continuously through that amazing smile. 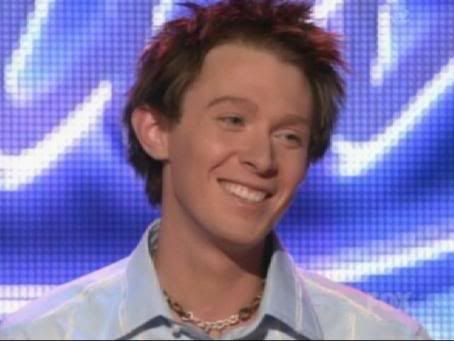 We know that those pictures are just a few of probably thousands, which portray a very caring and joyful young man named Clay Aiken. His smiles continuously let us know that no matter the situation, a simple and sincere smile can and will lift one's spirits a thousand fold. It is a wonderful and magnificent gift he gives to us without actually speaking a word. Thank you Clay, they are all very sincerely appreciated. Also, thank you musicfan for brightening up the day once again with Clay's smiles. It's nice to wake up with somebody like Clay smiling at you. Yes, can't do anything but love him when he smiles — and loved, loved it when he sang "When I See You Smile" in concert, I always see him smiling when I hear it. Thank you for collecting and sharing those wonderful pictures, and comments too — a wonderful, uplifting, memory-filled start to the day. Wonderful! This will have me smiling the rest of the day! Thanks! Clay has such a wonderful smile! I was in love with his smile when I first saw him on AI, and till today he makes me smile everytime when I see him on TV, Magazines, live, and here Online. HE HAS A WONDERFUL SMILE ALONG WITH THE MOST AMAZING VOICE I HAVE HEARD. HE WILL ALWAYS BE IN MY HEART AND AOUL AND WHEN I DIE HIS SMILE AND VOICE WILL STILL BE WITH ME. HE HAS BROUGHT SO MUCH JOY AND COMPASSION IN MY LIFE AND FOR THAT I WILL ALWAYS BE GRATEFUL TO HIM FOR THAT. Oh WOW!!! What a great Sunday Blog. Thank you for finding great pictures and fun quotes. When you see Clay smile, you can't help but smile back!! Wonderful, just wonderful. I do not know anyone that has a better smile than Clay. He just lights up the room. If you feel "blue" just watch Clay and you will feel better immediately!! Thank you for putting the pictures with the quotes. Clay has such an easy smile. Love to see it. I love these photos. 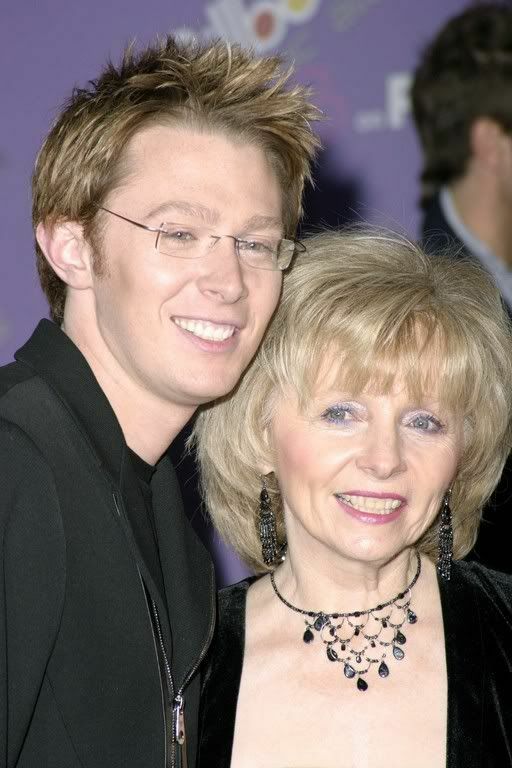 My favorite is the one with his mother, just beautiful. There is just something about a smile. When I see Clay Smile…it is like the sunshine. When I hear Clay laugh….I just have to laugh right along with him. He is just a delight…and brightens up all my days. Thank you again Musicfan for these great pictures. The photos of Clay smiling, the inspiring quotes, this site is perfection today! 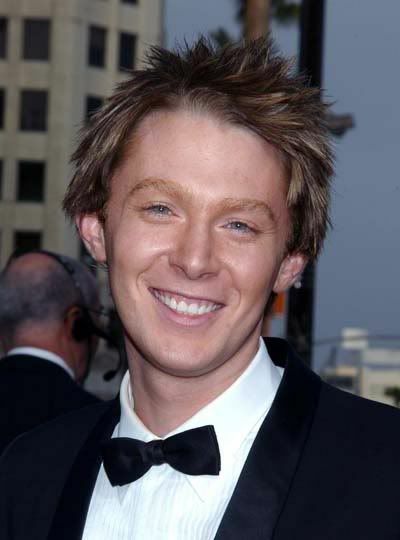 How I love Clay Aiken's smile, it never fails to make my day! His smile just envelops your whole being.Like he's smiling for you alone.Very few people can affect you that way. LOVE IT!!!!!!!!!! So, so true.Clay knows what he is talking about. Error: Error validating access token: Session has expired on Tuesday, 21-Aug-18 16:13:01 PDT. The current time is Wednesday, 24-Apr-19 01:33:31 PDT.